In a PlayStation Blog post by SCEA Pres. and CEO, Shawn Layden, Sony announced that it is organizing Sony Computer Entertainment, Inc. and Sony Network Entertainment, LLC under a new entity, Sony Interactive Entertainment LLC. It says the result of the change will be “bigger emphasis on developing pioneering platforms like PS4 and PlayStation VR, world-class games from our World Wide Studios development teams, and innovative network services such as PlayStation Vue“. The move appears to centralize all things PlayStation under one cohesive roof, better utilizing resources and sharing knowledge and practices. This is a welcomed move as it will certainly result in better software and services for the PS4 and other PlayStation platforms. SCEI Japan goes into more technical details of the new entity strategy of “retain and expand PlayStation user engagement, increase Average Revenue Per Paying Users (ARPPU) and drive ancillary revenue” and a financial goal of “1,400 to 1,600 billion yen for sales, and 5 percent to 6 percent operating income margin for the Fiscal Year ending March 2018”. Head over to PlayStation Blog and read the official press release on SCEI-Japan press page for more information. Being number one on top of my most wanted remakes, Goldeneye reimagined using Unreal Engine 4 would be the greatest gift to gaming since… well… Goldeneye on N64. Fingers crossed for this as a Nintendo NX launch title! Pretty please, Nintendo! Oculus announced we will all be able to pre-order our Oculus Rift VR Headsets this Wednesday, January 6th. They will also be answering questions via a special Reddit AMA, 6PM Pacific the same day. No word on price as of yet. The original Playstation (PSX) was release in North America twenty years ago on September 9th, 1995. Display kiosks in toy stores like Toys “R” Us and KB Toys and “specialty” game shops like Software ETC, gave me my first chance to find out what the Walkman people had to offer a Nintendo/Sega conditioned generation. As I would find out a cousins house, PlayStation was the future. 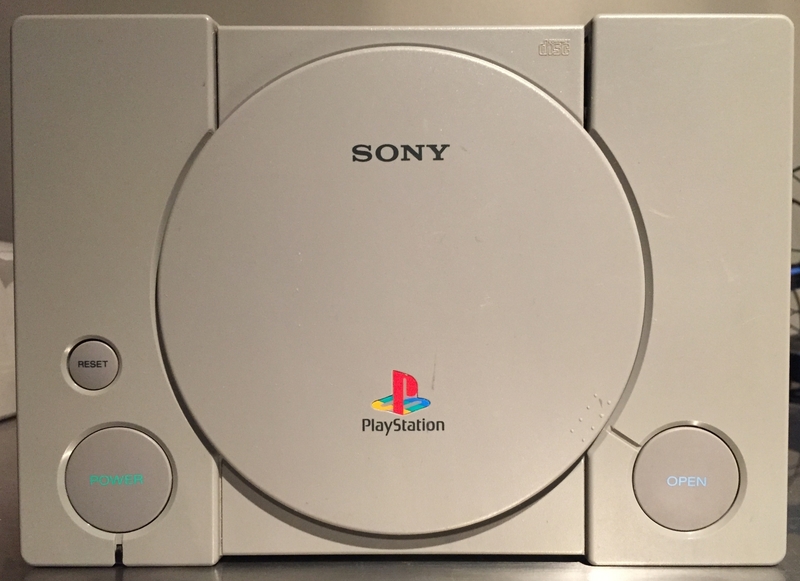 The impact Sony’s PlayStation would have on games and entertainment is undeniable, as are the multitude of fond memories with friends and family spending time playing with the undisputed king of the 32-Bit and arguably 64-bit eras.